Join in next Thursday, May 2, during our one-day social media blitz to encourage the public to join Team No Kid Hungry and help us end childhood hunger in the U.S.! 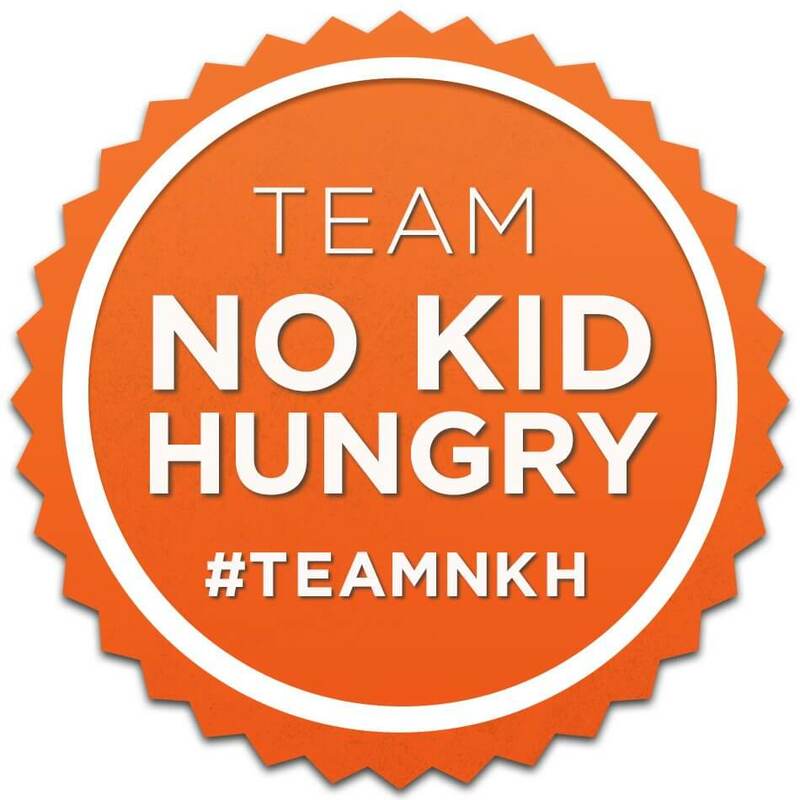 The day’s goal is to recruit 5,000 new members to Team No Kid Hungry, and we need your help. Our Team No Kid Hungry Social Council, a network of 15 dedicated No Kid Hungry supporters and social activists, are working to recruit No Kid Hungry supporters, including high profile members of the culinary and entertainment industries for the Recruitment Day. These supporters will use their influence on social media to recruit advocates to join the fight against child hunger by taking the No Kid Hungry Pledge. As an added incentive, the filmmakers who brought you the hunger documentary A Place At The Table will be donating $1 for every new Team No Kid Hungry member that joins on May 2, up to $5,000. What is the No Kid Hungry Pledge and why 5,000 names? In order to truly end childhood hunger, we need an army of individuals ready to take action on behalf of the often invisible and voiceless kids in our country who face hunger each year. This year our members are working on a crowdsourced Breakfast Map, using the new No Kid Hungry Action Center to fulfill actions in local communities, and becoming members of the Hunger Core, the monthly giving program. To date, over 330,000 individuals have taken the Pledge. Visit www.nokidhungry.org/team and take the pledge if you haven’t already. Forward to 16 friends – online and offline. There are 16 million children who are food insecure. Your act of sharing will represent those hungry children. Download the Team No Kid Hungry app to use on 5/2 (and every day) to earn badges showing your support of No Kid Hungry! Thank you for helping us make this day a success!